If the saying is true that "The way to a man's heart is through his stomach," then as we celebrate our dads this year, remember that a great meal is always well received. 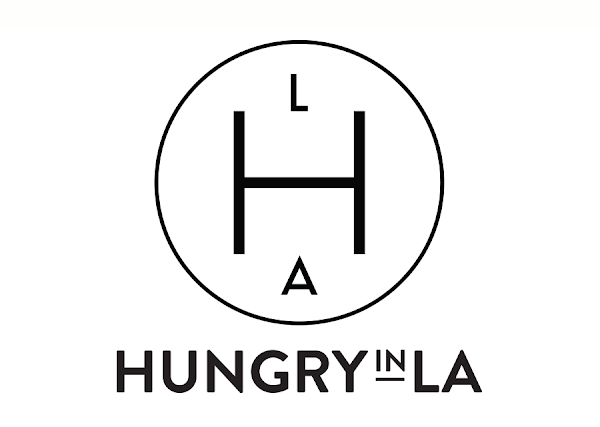 Below is my list of favorite steakhouses in LA that I personally love visiting. If you're looking for that perfect spot to treat dad for dinner (I sure hope my wife is reading this, hint hint), I have you covered. I've also included my favorite thing from each place. Belcampo describes themselves as a farm, butcher shop, and restaurant experience - and that's exactly what you get. The highly esteemed farm that specializes in organic grass fed beef also operates a restaurant and butcher shop in Santa Monica (as well as midtown and downtown LA). This truly is the farm to table experience and a place that dad would truly appreciate. The cuts of meat are on another level in terms of quality. Pair that with the seasonally inspired craft cocktails from acclaimed barman Josh Goldman and it's a sure winner. This dad will definitely be drinking the BBQ Old Fashioned topped with housemade beef jerky. If Don Draper and Sterling Cooper were having dinner today, it would be at The Arthur J in Manhattan Beach. The posh, throwback-to-the-Mad-Men-era space is definitely the right fit for the dapper dad who wants a perfectly cooked steak and a martini to go with it. The restaurant offers their modern take on classic steakhouse fare so you'll find steaks topped with seared foie gras and truffle risotto instead of the traditional carb sides. It's a very cool retro space, with incredible food, but if I had one bad thing to say, it would be that the mix various Rock music in the background doesn't necessarily go with the motif. Other than that, it's one of the best steakhouses in LA. This dad is finishing the meal with the Baked Alaska for dessert. Curtis Stone can do no wrong. I mean, come on, Maude is already a hit! So when he teamed up with brother Luke Stone to open the very upscale butcher shop/restaurant, Gwen, it made everyone's list of places to visit. Located in Hollywood, the space can be described in one word: stunning! It mixes elements of sophistication like the beautiful chandler adorning the dining room, with manly things dad appreciates like the meat locker hanging for all to see. The open kitchen utilizes wood fire to cook that $100 piece of wagyu that dad is planning on ordering. Fire, meat, butcher shop, and a fancy place to sit and eat, what more could dad ask for? This dad is ordering the house cured charcuterie. Formally known as simply "Steak and Whisky" S+W serves two things very well, as the name indicates. 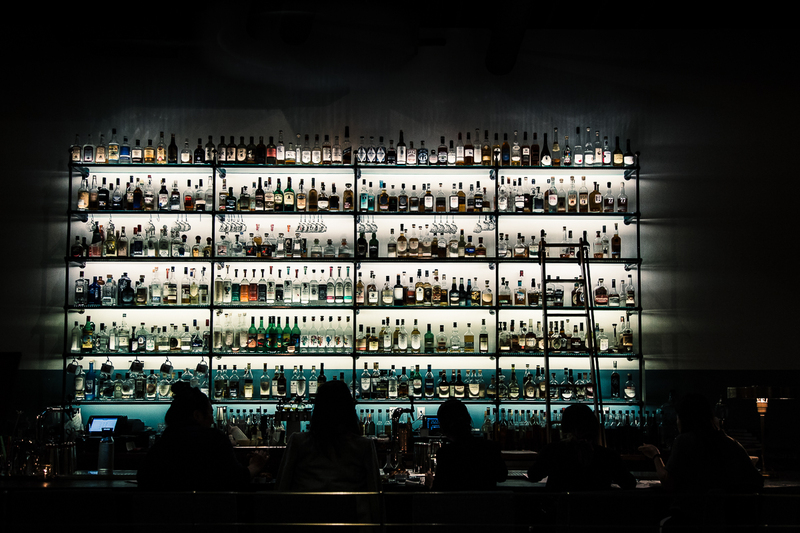 Step into the small, quaint space in Hermosa Beach, and you're quickly transported from the loud fraternity bars on Pier Avenue to a speak easy atmosphere (picture Boardwalk Empire) that serves high quality steaks and offers one of the most extensive whiskey lists in LA. This dad is ordering the 42 ounce Tomahawk Ribeye. Go big or go home, right? 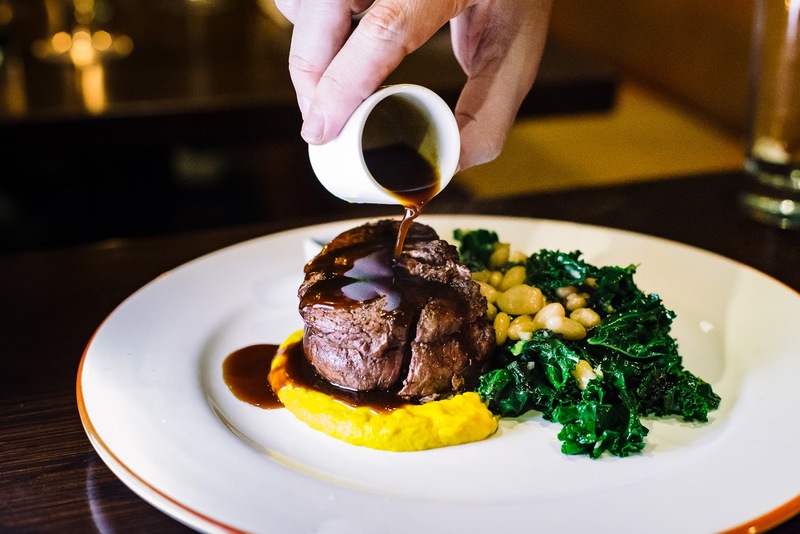 Patina Group's Nick + Stef's Steakhouse has been one of the leading chop houses in Downtown's Bunker Hill for almost two decades. With a recent update, the space has been refreshed and with the tall skyscrapers surrounding it, you feel as if you're having dinner in Chicago or Manhattan. The house dry-aged prime steak cuts and legendary tableside salads are worth the trip Downtown. This dad is ordering the tableside Caesar salad - one of the best in LA. Boa is the swanky steakhouse where you picture celebrities and high profile clients and their business associates having dinner. The space is modern and boasts one of the best patios in LA, perfect for dining al fresco in our one-season weather. 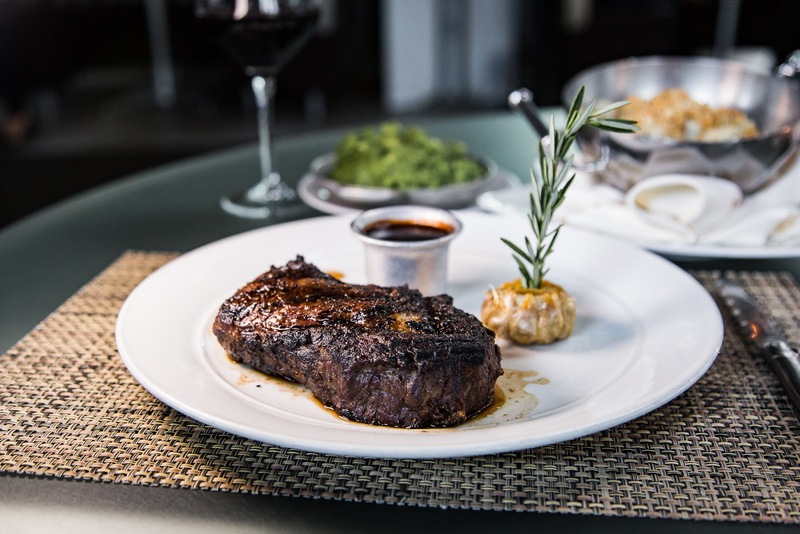 While traditional steakhouse items such as steak & lobster, oysters, and tableside salads anchor the menu, their new items like ostrich steak, scallop ceviche, and beet poke are delicious and perfect for the dad wanting to venture out from the norm. This dad is ordering the bison ribeye with Cabernet sauce. For the fun dad that wants to let loose with drinks, a steak, and a little karaoke, there's The Venue in Koreatown. 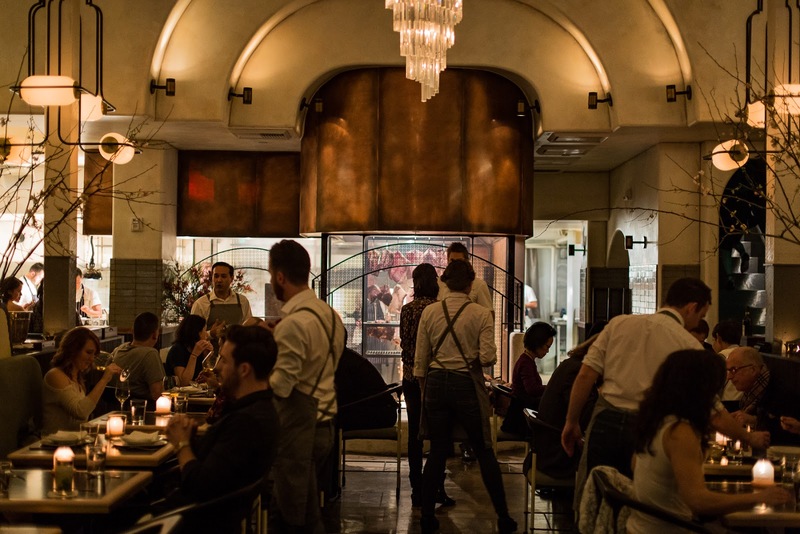 The restaurant is located underground and boasts an impressive space that looks more like a lounge adorned with brass finishings and dim mood lighting. 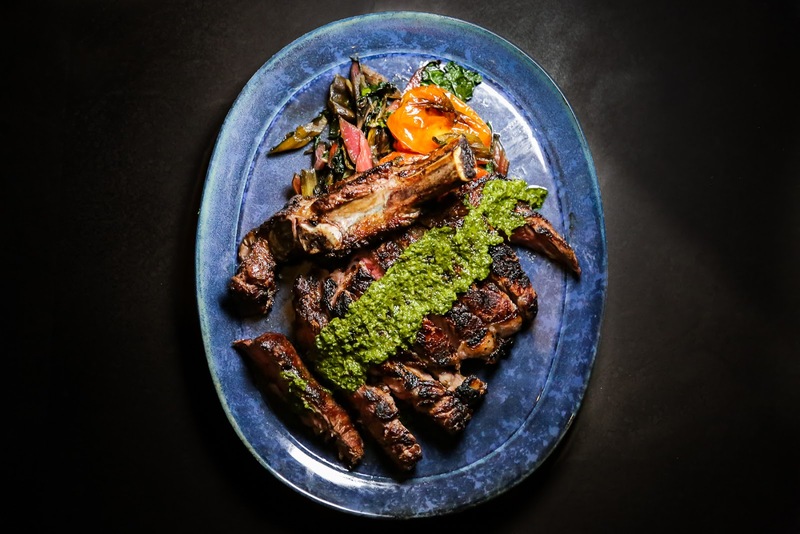 Some highlights from the menu include a hanger steak with potato kimchi hash, pan-seared branzino, and a 12 ounce bone-in ribeye served with chimichurri. After dinner, head over to one of the private karaoke rooms to hear dad wail out Journey's Don't Stop Believing. This dad is definitely hitting the karaoke room afterwards. 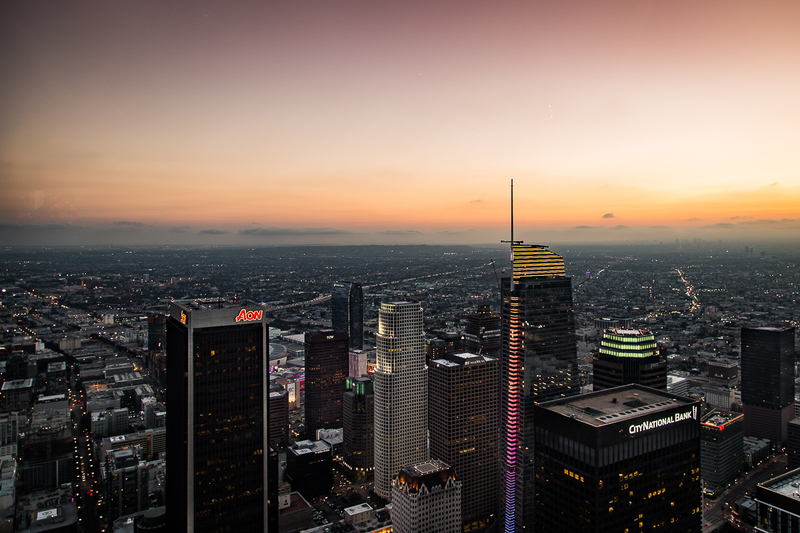 71Above is located on (you guessed it) the 71st floor of the U.S. Bank Tower, making it the highest restaurant in Downtown LA. The space is absolutely stunning and makes you feel like you're in the swankiest restaurant in some metropolis other than LA. The views - well, let's just say you are literally above it all. (The photo above was taken right from our table.) 71Above provides the most breathtaking vistas while dining and on a clear day you can see straight to Santa Monica Beach. 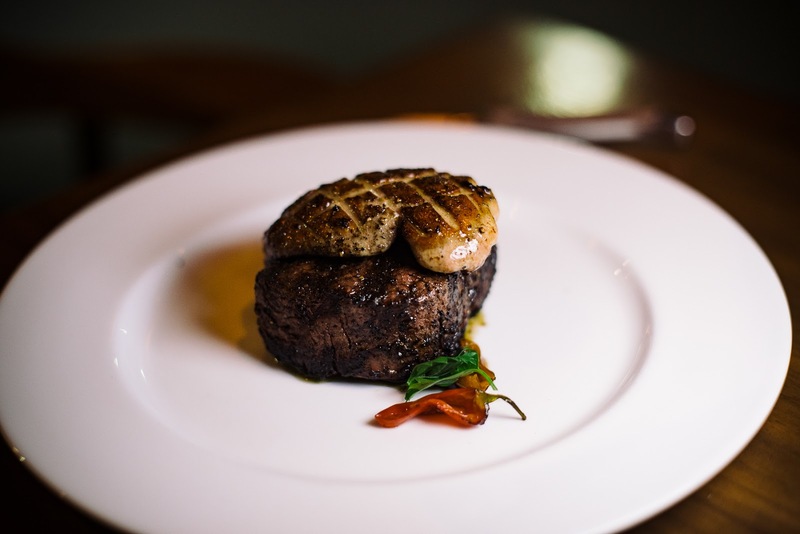 Although it's not a steakhouse, Chef Vartan Abgaryan creates a wonderful tasting menu, that includes your choice - and of course, we're going with the steak! This dad is ordering the steak tartare with shallot, mustard, olive oil, truffle, and olive tapenade.